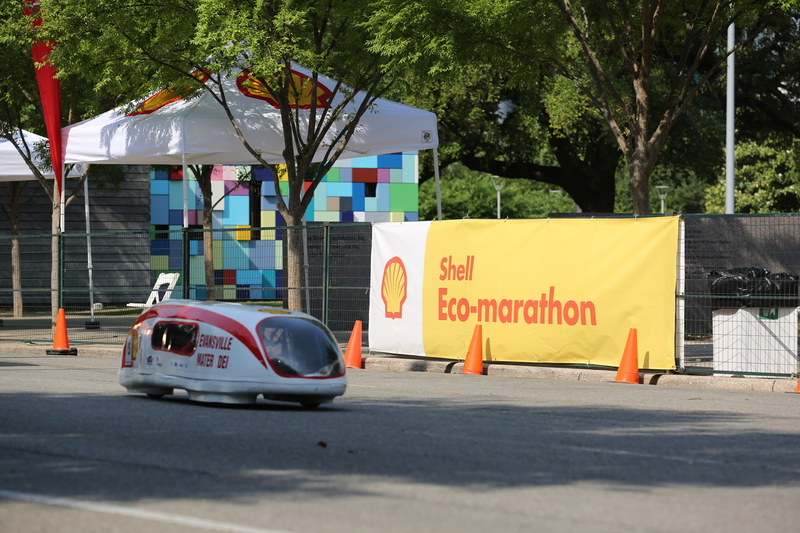 After two days out on the track, plus many overnight hours preparing and repairing, the results are in for the 2014 Shell Eco-marathon. One of the most impressive stories is the success of the High School (HS) teams. 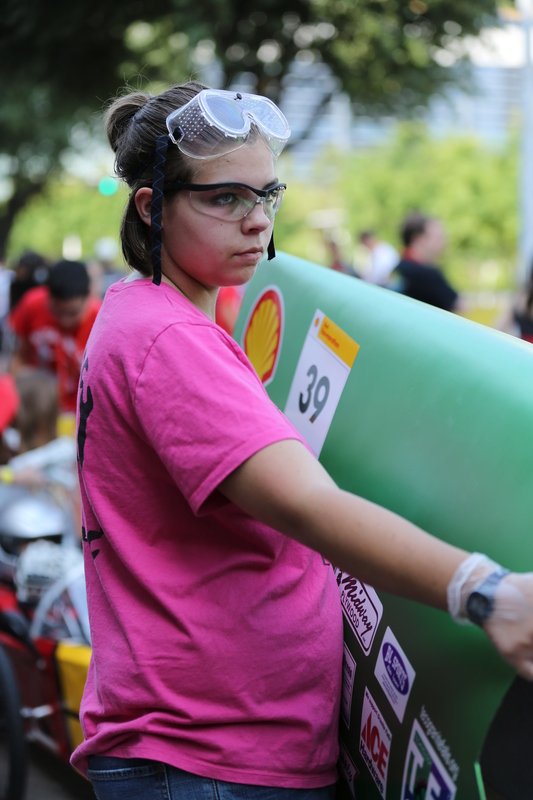 Mater Dei HS, from Evansville, Indiana, steered some excellent runs around Discovery Green Park, Houston, placing first in the Urban Concept gasoline (383.18 km/l) and Prototype Battery Electric (864.48 km/kWh) categories. 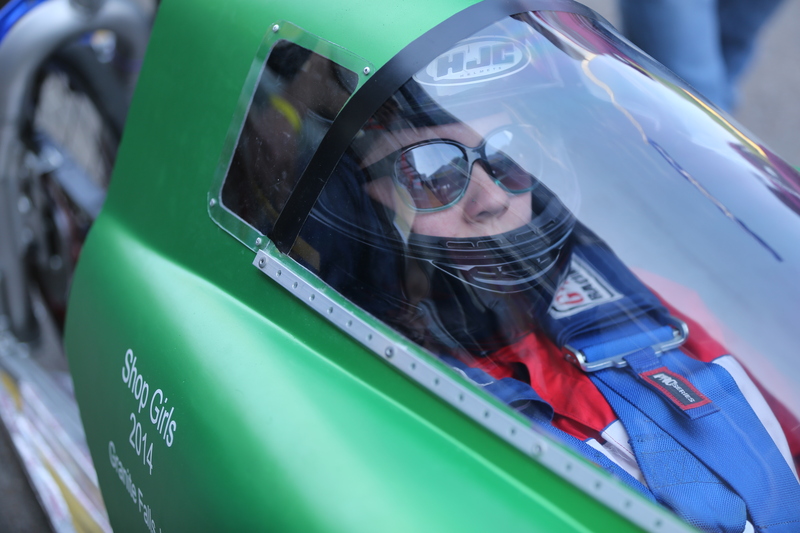 One of their Supermileage cars came third in the Prototype Gasoline challenge, was won again this year by the team from Universite Laval, Canada with the top fuel efficiency figure of 1200.36 km/l. The Diesel Prototype category was a slam dunk for the younger teams with Sullivan HS, Indiana taking first place with their well-named No Spark Plug Allowed (807.32 km/l) followed by four more High School teams in the top five. One of these top finishers for diesel prototype was Team Shop Girls, one of two teams from Granite Falls HS, Washington. They also picked up the Safety Award in this, their fifth year in the competition. Prior to their run on Sunday morning, Ed, an industry volunteer, was talking about the all female team’s preparation and how it was paying off. For his part, he has put hundreds of hours into helping them with fabrication skills including how to do aluminum welding, a somewhat trickier technique than steel welding, given the lower melting point and other physical plays of the lighter metal favoured in these fuel efficient vehicles. For one of the team, their efforts in the Eco-marathon have been recognized in an acceptance letter to go and study engineering at MIT.